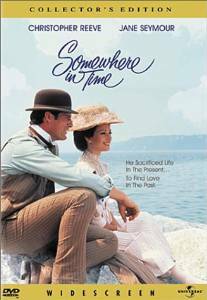 Even if some critics had given it a poor rating, Somewhere in Time is still one of my favorite romance movies, since I like watching films with a historical setting. Based on the 1975 novel Bid Time Return by Richard Matheson (who wrote many episodes of the TV series The Twilight Zone), the movie stars the late Christopher Reeve (best known for his Superman role), Jane Seymour (star of Dr. Quinn, Medicine Woman) and Christopher Plummer (who plays William Fawcett Robinson). Somewhere in Time opens with a college theater scene where young playwright Richard Collier (played by Reeve) is celebrating with his friends after the staging of a play he has written. He is suddenly approached by an elderly woman (played by Susan French) who hands him a gold pocket watch and begs him to come back to her. An old lady (Susan French) hands Richard (Christopher Reeve) a gold pocket watch. "Come back to me." The story then moves forward to eight years later, showing Richard now successful in his writing career. 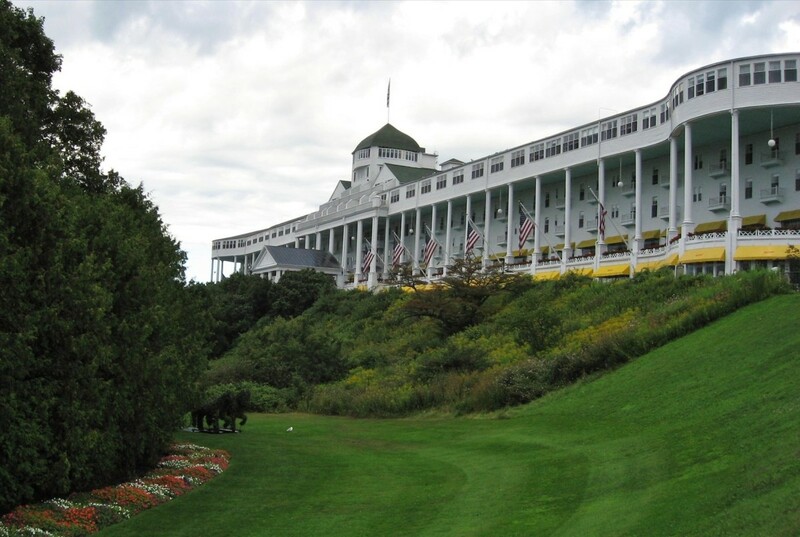 When he decides to relax and spend some time at the Grand Hotel, he sees an old portrait of a beautiful woman hanging on a wall of the hotel’s museum. Captivated, he starts a thorough research on her and discovers later on that she is the old lady who handed him the pocket watch. He also learns that she is Elise McKenna, once a famous stage actress. Richard is enchanted by the woman in the portrait. His search further leads him to seek the advice of his college professor (played by George Voskovec) who wrote a book on time travel. Following his instructions and succeeding in going back to 1912, Richard finally meets the young Elise (played by Seymour), and they instantly fall in love. Their love affair ceases, however, when Richard – at the sight of a penny with the date “1979”! – is suddenly pulled back to that year. Please, don't leave. You have no idea how far I've come to be with you. One scene in this movie that freaks me out is where Richard, one night, goes to the hotel’s attic and finds a dusty 1912 guest book where written on one of the pages is his signature! This confirms that he was indeed present in that year. Another good scene is where Richard painstakingly hypnotizes himself by listening to tape-recorded suggestions that would enable him to return to 1912. For this, I credit Matheson for cleverly creating this episode, as well as the scene where Richard’s professor advises him that for him to travel through time, he must remove from his sight everything of the present! But like any woman, I am thrilled at the scene where Richard and Elise meet for the first time by the lake. Being a foolish romantic, I find this moment happening in the perfect time and place! I also appreciate the natural beauty in the scenes where the lovers walk leisurely around the garden and enjoy a boat ride. To me, these are the most pleasant settings for courtship. Richard and Elise (Jane Seymour) meet for the first time. "Is it you?" The man of my dreams has almost faded now. The one I have created in my mind. The sort of man each woman dreams of, in the deepest and most secret reaches of her heart. I can almost see him now before me. What would I say to him if he were really here? I cannot find the words. Except for these: I love you". Such would I say to him if he were really here. But perhaps the most dramatic scene for me is where Richard - due to his carelessness - is dragged back to 1979, and in his desperate attempt to re-hypnotize himself, he fails and cries bitterly. It is at this part that I feel deep sorrow until the end of the story. I guess what makes this movie popular is not the story, but the score composed by John Barry. Its melody definitely sets the romantic mood. I enjoy listening to this especially when it is played at wedding receptions in Manila. For viewers fond of romances, I highly recommend Somewhere in Time. It is, indeed, a beautiful love story blended with a good sense of mystery. If you had a way, would you go back in time to reunite with the one you truly loved? Nope. I wouldn’t fantasize about it. The story of a love that breaks the barriers of time! Glad you like the movie, Ms. Linda! It's one of my favorite love stories because of 2 elements - the time travel and the music. Good to know we have the same interest in films. I love this movie! I saw it once on television and I've never forgotten about it. I find the theme of time travel and the love story very appealing. Thank you for sharing this review. I really enjoyed this movie! Great review, really captures the essence of the movie! The soundtrack of this movie is my mother's favorite tune of all time. She just turned 90 and still watches the movie with her gal friends. This is such a good movie! I haven't seen it in way too long, but it's really a wonderful romance film. I had heard about this show, but never watched it... After reading your lens I may find myself sitting down to it very soon! This is one of my wife's favorite movies. As a guy, I too found it extremely good and I really enjoy the music. I saw this movie years ago. Reading your review makes me want to see it again. I believe the song in the portrait scene is a Rachmaninoff Concerto, maybe No. 2. I like your review, good job. @Felicitas: You won't regret re-watching it! I watched this movie recently and it was as good as I remembered. Oh I love this movie. I remember now, reading your review, that I watched this before. I loved Dr. Quinn medicine woman. I recall enjoying the movie very much. I need to watch it again. I always remember the scene where they were falling in love, then he puts his hand in his pocket and pulls out a penny with recent date, and his dream ends in such tragedy....very much a premonition of his own tragedy in life. I loved this movie too! It's a wonderful movie and so emotional too. I know I will be watching it again and again. This is one of my all time favorite romantic movies. Not only is the story compelling and excellent, but Christoper Reeve and Jane Seymour are simply beautiful to watch. @Rangoon House: Yes, please, do that! I don't remember seeing this movie, but you now have me intrigued - will look out for it at the DVD store. @JessicaLVine LM: I'm sure you'll love it! @MrChipss: Thanks! Hope your wife finally watches it. Hello Charito, I absolutely love this movie. I have been trying to convince my wife to watch. Hopefully I will be successful soon. Your review is great and right on! @CampingmanNW: You're welcome! Nice meeting you. @ValerieJoy: Thank you very much! Hope you enjoy watching it. After reading your review of Somewhere in Time this is a film that I must see. I felt a mystical air when reading about Richard receiving the gold pocket watch from the old lady, then later discovering her portrait. So well written Charito1962. Congratulations. @DebMartin: You're welcome. Hoping you enjoy watching it. 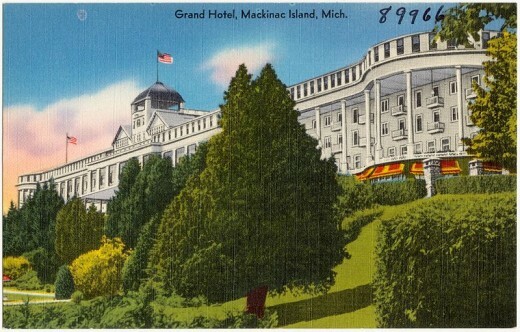 I've never seen this even though it was filmed in my home state of Michigan. I love finding new movies and old classics to get me through the long winter months. Thanks for your review. Wow, that sounds really good, I definitely want to see it. Good lens too! @LornsA178: Hello, Lorna! 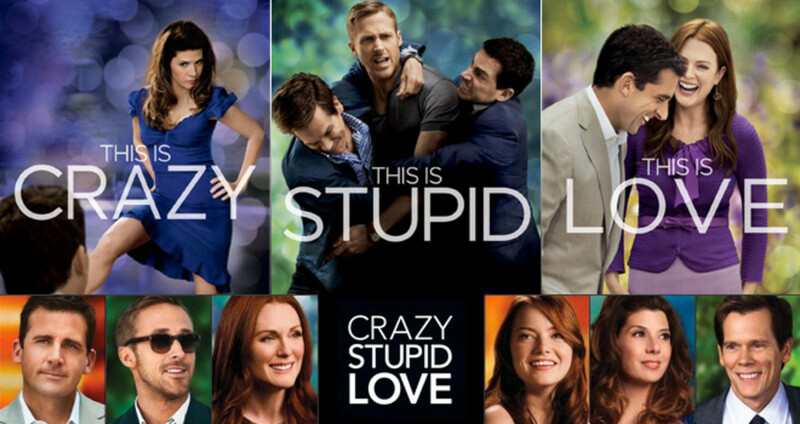 Yes, it's really a movie worth watching. Regards. @acmmelchor: Hi! Glad you like the movie as I do! @marsha32: Good. I hope you enjoy it. I may have seen this, I'm not sure, but either way it's on my to watch list now! @Heidi Vincent: Believe me, you won't regret re-watching "Somewhere in Time". Captivating clips and lens review, Charito1962. I have already put this movie down on my 'must see' movie list. Thanks for sharing. I have always loved the Dr. Quinn Medicine woman series. Happy New Year! Saw this movie and loved it. @Merrci: Glad you liked the movie! I loved it! It was so touching and imaginative. Great review of it too. Have to watch it again now! @PaigSr: You won't regret it! I have heard of this movie but never seen it. Thanks for a bit more. I may have to add this onto my to do list. @takkhisa: Yes, do watch it! It's a great film. @aesta1: It's really one of my favorite love stories. I love the story. You got me interested to watch it. Nice movie review, now it made me interested to watch the movie. I heard about it but don't have a chance to see. Thanks! "Somewhere in Time" is a classic love story!